Good morning. It's Wednesday, Oct. 31. 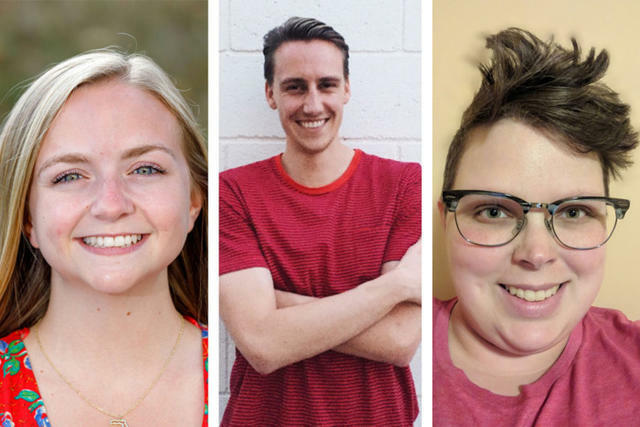 • Young people explain why they probably won't vote next week. • How cannabis is tearing the “World Pumpkin Capital” apart. • And a look back at the creepy costumes in Halloweens of old. Laura, left, Nathan, and Jocelyn were among 12 young people who said they probably wouldn't vote. "I love that literally everyone is promoting actually registering to vote, but it’s never how to vote or the steps to voting or what you do next after you’ve registered to vote. After that, it kind of just drops off and you’re left in the dark, like, I don’t know what to do next, you know?" Only a third of Americans between the ages of 18 and 29 plan to vote next week. A dozen of them explained why to N.Y. Magazine. 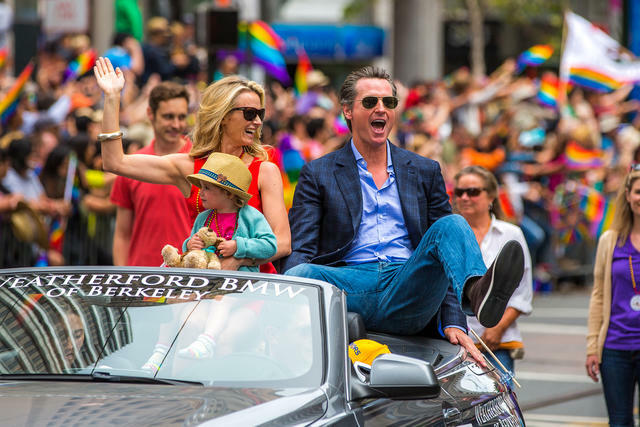 Gavin Newsom and his family at San Francisco Pride in 2015. Gavin Newsom got the New Yorker treatment. In the civil war against President Trump, the frontrunner for governor has cast himself as Abe Lincoln. He says that on Nov. 6 Californians will anoint "the next head of the resistance." Other nuggets: He has three Teslas and was inspired to meditate by watching Kobe Bryant and Marc Benioff. Industry is dropping epic sums to influence the statewide ballot contests. The biggest spenders are dialysis companies, which have poured $111 million into the campaign against Proposition 8, which would limit their profits. It's the most spent on a single side of a ballot fight since electronic record-keeping began in 2002 — and possibly ever. If you were to ask Americans which is the nation's poorest state, many might say Alabama or Mississippi. 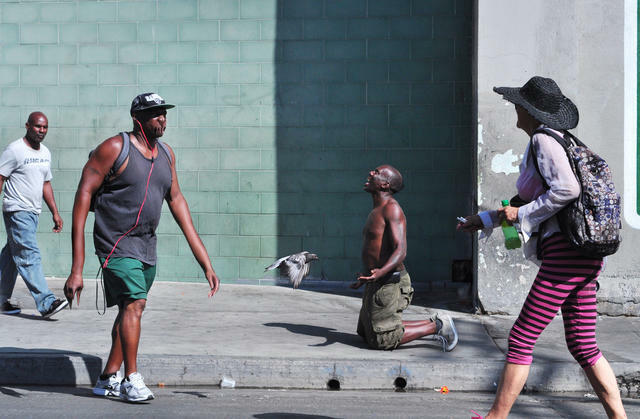 In truth, California has the highest poverty rate — nearly 1 out of 5 residents is poor. Yet most of the state's poor have jobs. "Whereas the poor would once spend their last dime on food for the children," The Economist wrote, "now they spend it on housing — and depend on charities for food." 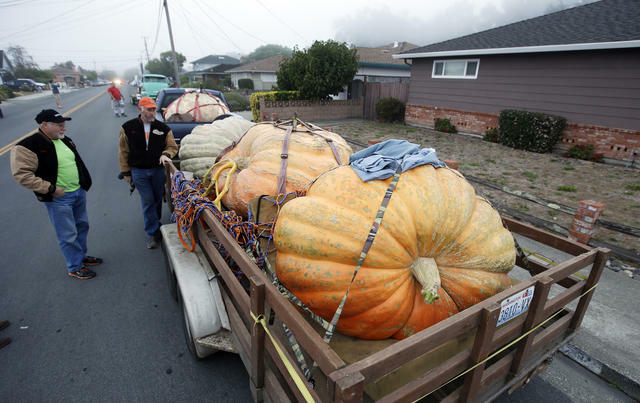 Pumpkins are a way of life in Half Moon Bay. A farming couple in Half Moon Bay is trying to save their pumpkin patch by growing cannabis. But some locals in the “World Pumpkin Capital" are determined to stop the plan, even if it means putting them out of business. Residents will vote on the matter on Nov. 6. "If that doesn’t pass, there won’t be a pumpkin farm," Eda Muller told critics. "Put that in your pipe and smoke it." Vice posed as all 100 senators to buy "paid for by" political ads on Facebook. Every single one was approved, indicating that just about anyone could get away with the deception. "If Facebook is going to claim to verify who’s paying for political ads," a real senator said, "they need to actually do the work." Juul, the San Francisco vape company, offered to pay schools up to $20,000 to adopt a vaping curriculum taught by Juul consultants. State officials considered the outreach an attempt at coercing school agencies "to support the addiction" of young people. "It's just taking a page out of the playbook of the tobacco industry in teaching their own curriculum," a pediatrics professor said. 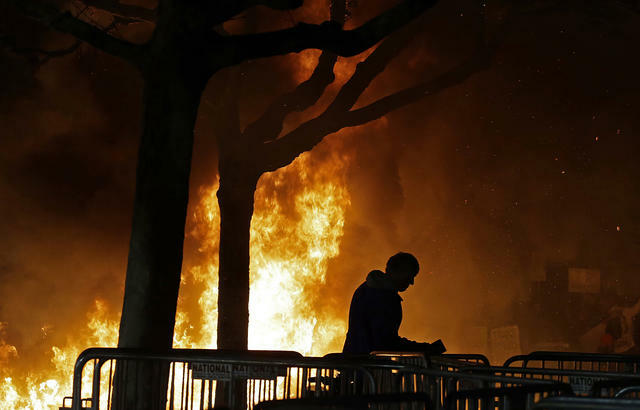 Yvette Felarca was among the black-block activists that derailed a planned speech by Milo Yiannopoulos in Berkeley last year. Yvette Felarca is a Berkeley middle-school teacher. But she also leads a radical anti-fascist group and faces felony charges in connection with a brawl at a neo-Nazi rally in Sacramento in 2016. Berkeleyside got ahold of school email records and found that it's been inundated by demands to have her removed, some including threats. "The calls about Felarca are endless," the principal said. A tilt-shift image was captured recently in San Francisco's Forest Hills neighborhood. (Yes, that's a real photo). Malvina Reynolds's folk anthem "Little Boxes" was inspired by the housing developments she saw around Daly City, San Francisco's neighbor to the south. It mocked the conformity and soullessness of suburban existence — "Little boxes on the hillside, little boxes made of ticky tacky." To this day, many people can't help but be reminded of the song when driving around the peninsula. Southern California Edison said its equipment likely sparked at least one ignition point for the massive Thomas fire that tore through Ventura and Santa Barbara counties late last year. The utility said witnesses saw a blaze erupt near one of its power poles in Santa Paula. 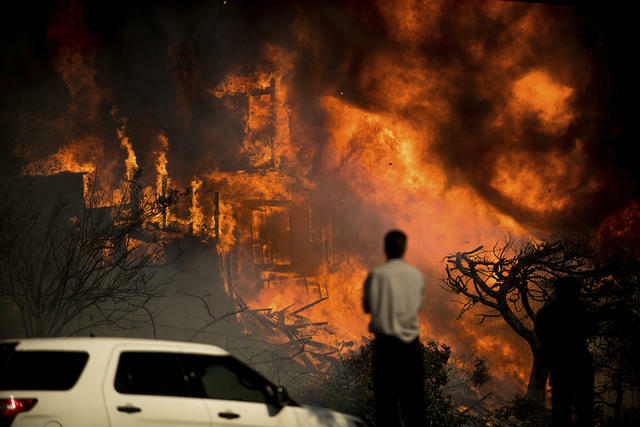 Dozens of lawsuits have been filed against Edison in connection with the fire, which was the second-largest in California history. Ventura County Star | A.P. Is winter coming for Southern California's once white-hot real estate market? Sales across the region plummeted nearly 18 percent in September compared with a year earlier, the largest drop in almost eight years. Price reductions are becoming more common. "I think it’s very possible the market is going to cool down for a while," a real estate expert said. Two years after it started, San Diego declared an end to the region's hepatitis A outbreak. The contagion killed 20 people, sickened nearly 600, and set off a debate over how the city handles homelessness. As part of the eradication effort, giant tents were erected to provide shelter to people living on the street. John Chhan helped a customer at Donut City in Seal Beach. 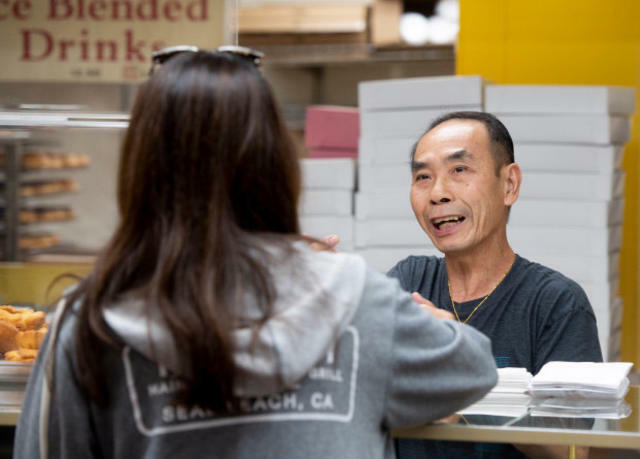 John and Stella Chhan have sold doughnuts from their Seal Beach shop for 28 years, seven days a week. A few weeks ago, after regulars noticed that only John was showing up, they learned that Stella had suffered an aneurysm. That led to a plan: If enough people show up every morning and buy a dozen doughnuts, the shop will sell out and John can go be with his wife. They've done it every day since. "We are so thankful," said John, holding both hands over his heart. Zabriskie Point looks out over the surreal Golden Canyon. When the sun is low in Death Valley, the ridged badlands below Zabriskie Point light up in shades of gold and orange. The colors owe to sediments of a lake that dried up millions of years ago. 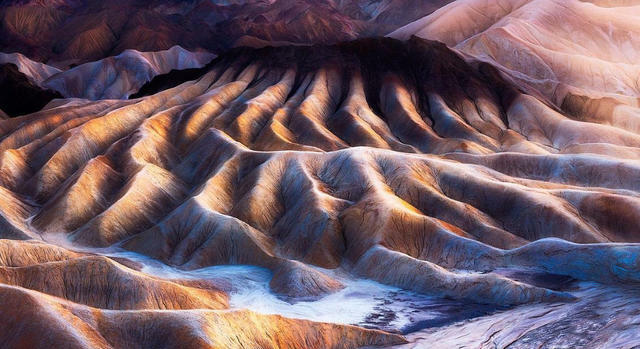 Some photographers regard Zabriskie as perhaps the most spectacular sunrise location all of the desert southwest. Halloween fashions aren't what they used to be. 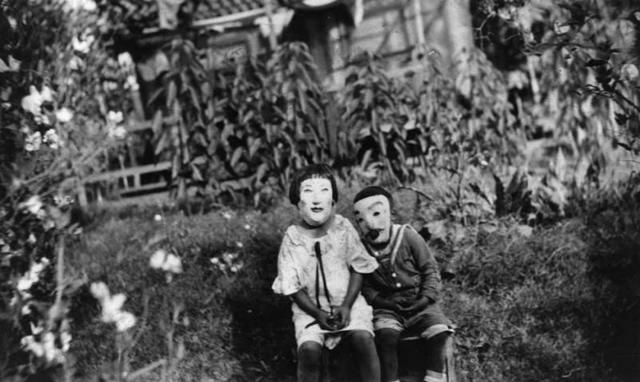 In bygone California, costumes were often homemade, creepier, and highly politically incorrect. Head over to the California Sun online for a photographic tour drawn from the state's various archives.